Last week in Tweaking the EGR, Part 1 we looked at how the electronic exhaust gas recirculation systems in many cars can be modified to allow more, or less, exhaust gas recirculation (EGR) flow. 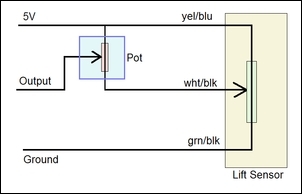 In those cars using full electronic control and a valve position sensor, altering the feedback signal can be used to increase or decrease flows. 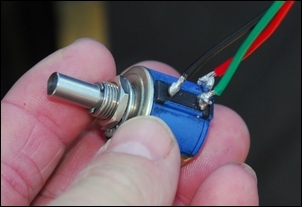 Cars using vacuum valve EGR systems with solenoid control can be modified by other techniques. But why would you want to change EGR flows – and especially, why would you want to increase EGR? As described in EGR Comeback, in spark ignition engines, EGR has the potential to improve fuel economy. This is primarily because the recirculated exhaust gases don’t need to squeeze past the throttle, which in cruise is nearly closed. Light load EGR helps fill the cylinder, therefore reducing the amount of fresh air needing to be drawn past the throttle, and so reducing pumping losses. It’s very easy to see how all this works if instead of thinking of ‘pumping losses’ and complicated terms like that, you simply think of engine braking. When you change down the gearbox to engine brake, the engine is trying to draw air past the closed throttle – and that’s causing most of the braking you can feel. EGR simply helps fill the cylinders, reducing engine braking when the throttle is open only a small amount. All this sounds really good, but if the amount of EGR is too high, combustion can become unstable and so fuel economy (and emissions of hydrocarbons) rise. In practical terms, this can be felt by the car bucking or jerking. The aim with increased EGR on the Honda Insight guinea pig was to improve fuel economy. By adjustment of the newly fitted pot, EGR valve opening could be nearly doubled – going from 50 per cent valve duty cycle maximum to 90 per cent maximum. Or, steplessly, anything in between. EGR valves are notorious for sticking. The main culprit is carbon, but because of the water present in exhaust gases, corrosion can also cause problems. 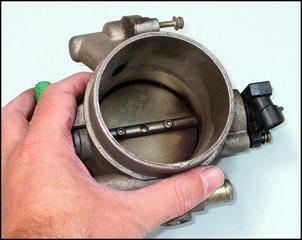 If altering EGR flows, the EGR valve must first be operating correctly. Removal of carbon can be done with carby cleaner fluid. So what were the results - did increasing the EGR improve fuel economy? Well, no – and yes. Testing was initially undertaken in 100 km/h freeway cruise, with the car dropping in and out of lean cruise mode. As described last week, in lean cruise mode the Honda runs zero EGR; however, it periodically drops out of lean cruise mode to rid itself of NOx that’s been adsorbed in the cat, and during these episodes it uses a lot of EGR. But with a major increase in EGR dialled-in, no fuel economy gain was able to be measured. To see if the increased EGR was actually reducing pumping losses in this type of driving, a vacuum gauge was plumbed to the intake manifold. If, with the higher EGR, less vacuum was being developed in the intake manifold, pumping losses would be reduced. The car was driven along at 100 km/h, out of lean cruise (ie with the EGR valve operating). The EGR valve opening was manually increased from about 50 per cent to 90 per cent and the vacuum gauge closely monitored. There was no detectable change in manifold vacuum. However, what about in urban conditions? Testing was carried out over a 19 kilometre route comprising 60 and 70 km/h urban roads. Over this distance were 14 sets of traffic lights and three roundabouts. With the EGR standard, fuel consumption over the test route was 3.1 litres/100km. With EGR increased by about 50 per cent, fuel consumption over the route decreased to 3.0 litres/100km. a change to the intake air temp sensor that advances the ignition timing at light loads by about 5 degrees. Each of these mods has been covered in AutoSpeed – do a site search. 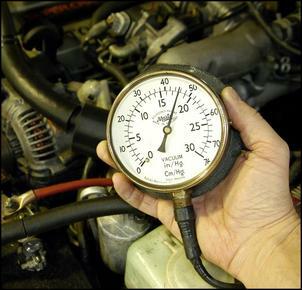 The car is also run all the time on 98 RON fuel – only 95 RON is required as standard. The advanced ignition timing probably allows more EGR to be run without combustion instability occurring. It was then decided to see if reduced EGR resulted in on-road improvements. 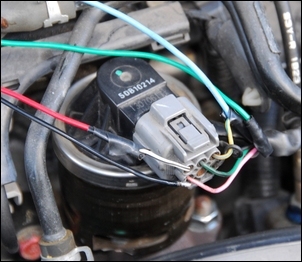 The pot wiring was changed (as covered in Part 1 of this series), allowing EGR to be adjusted from standard down to zero. Disabling the action of the EGR valve has been done on many cars in the past, and people often claim major gains from doing this. But decreasing EGR on the Honda had more negatives than positives. Throttle response for relatively large foot movements was much sharper (almost jerky in fact), but when feeding-in the throttle gently, a flat spot could be clearly felt. Full throttle acceleration was unchanged – the EGR is switched off then anyway. In addition to the development of a flat spot, you’d also expect NOx emissions to be higher with lower EGR. Emissions were not measured for this series, but it’s likely that NOx emissions are reduced with increased EGR and, conversely, increased with reduced EGR. However, going too high with EGR can result in increased hydrocarbon (HC) emissions as combustion instability occurs. I don’t have any evidence for this, but I’d be surprised if HC emissions increase if the engine is still running smoothly with the increased EGR – ie, not bucking or jerking. But what happened to fuel economy with the reduced EGR? Over the 19 kilometre urban test route, fuel consumption increased to 3.5 litres/100km. All in all, the results with reduced EGR were negative! So of the two alternative configurations – increased EGR or decreased EGR – it was increased EGR that gave a better real world result. That result was improved urban fuel economy. One of the key criteria with re-tuning the EGR was to keep the driving behaviour as factory as possible. My wife was my litmus test of this; during fine tuning of the EGR I often got her to drive the Honda to see if she could detect a difference. (She’s very experienced at driving and evaluating lots of different cars.) On one occasion she got the car to jerk, running along in second gear at low speed and with a tiny throttle opening. I then pulled back the amount of EGR a little. But couldn’t I feel the reduced pumping losses from the increased EGR? In the right situation – yes I could. As mentioned previously, the throttle needs to be opened further when full EGR is occurring. And in one driving situation, I could feel the reduced pumping losses (“engine braking”) very clearly. I’d just come over a slight rise and was feeding-in a small amount of throttle. Watching an ancillary analog meter that I’d fitted to monitor EGR valve operation, I saw it flick to full EGR. At exactly the same time, and despite the constant throttle, the car accelerated – more power was being liberated as the pumping loss was abruptly reduced. Note that this characteristic is not discernible at high speed - I assume that the reduction in pumping losses is vastly outweighed by the aero drag, and so the change cannot be felt. The final configuration runs a lot more EGR than standard – valve duty cycle has been increased by about 75 per cent. After the tuning process was finished, the modification was locked into place. 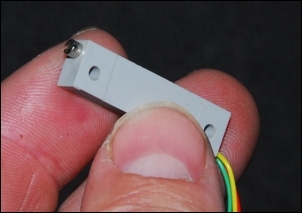 The easiest way to do this is to simply permanently wire a miniature pot into the circuit. 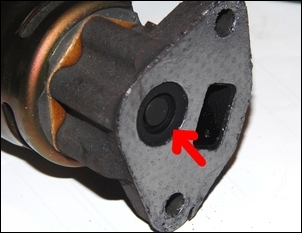 A small dab of nail polish can be used on the adjustment screw to fix the setting, and the pot is so small it can be integrated into either the EGR valve or ECU wiring with a cover of electrical tape or heatshrink. In this case, modifying the EGR flow did not result in a massive improvement in fuel consumption. Instead, in carefully tested urban conditions, there was a small but measurable improvement of 3 per cent. In highway conditions there was no measurable change. However, the Honda Insight hybrid is amongst the most fuel-efficient cars in the world – so to be able to make any improvement is impressive. Secondly, the modification itself costs almost nothing (if you have to buy the pot - $1.50!) and is easily installed. Driveability is very similar to standard. In some conditions, eg very small throttle openings in tall gears at 50 – 70 km/h, the car feels as if it drifts along more easily. In other situations, throttle response is softer. However, you’d need to be very familiar with the car to feel these traits. We’ve never seen anyone modify an EGR system for increased EGR (in the past, people just blanked-off EGR valves!) and so the fact that we improved an aspect of performance by actually increasing EGR shows how much car modification has changed. Finally, it’s a modification that we can see being potentially worthwhile on a range of cars. Workshops with access to dynos and tuning devices like interceptors could also very easily tune an increase in part-throttle EGR – dyno monitoring the driveability and fuel consumption changes should be straightforward. The flow of EGR is determined not only by the control valve opening but also by the difference between the intake manifold and exhaust manifold pressures. Therefore, if a free-flow exhaust is put on a car, EGR may decrease because of the lowered exhaust backpressure. That’s especially the case in a diesel, where there is no intake manifold vacuum. We haven’t done any testing of this characteristic, but in throttled spark ignition engines fitted with big exhausts, fuel economy may improve if part-throttle EGR is increased to take into account the reduced flow that would otherwise occur.